On his Facebook page today, Najib said Beijing neither offered to bail out the state investment firm, nor to bug the Hong Kong residences of WSJ journalists reporting on the scandal. “As reported by the WSJ and as publicly known, this too has never happened. “Malaysia had continued its efforts and promised to sign a settlement agreement with the Abu Dhabi government-owned International Petroleum Investment Corporation (IPIC) to ensure that all money supposed missing from 1MDB is returned by Dec 31, 2020,” he said in his point-by-point rebuttal of the report. In a separate press release, a spokesperson for the China embassy in Kuala Lumpur said the country adheres to a policy of non-interference in the domestic affairs of other countries. “China never attaches political conditions on our cooperation with other countries. "We promote the ‘Belt and Road’ Initiative under the principles of wide consultation, joint contribution and shared benefits, with an aim to pursue shared development and prosperity. “We do not accept any groundless accusations made against China,” it said. The embassy added that China remains committed to working with Prime Minister Dr Mahathir Mohamad to improve bilateral relations. Earlier today, WSJ journalists Tom Wright and Bradley Hope (photo) cited minutes of previously undisclosed meetings and sources to claim that Beijing had offered to bail out 1MDB, as well as to help uncover how the journalists obtained information about the firm. Wright and Hope also alleged that Chinese officials had offered to pressure the US and other countries to drop their 1MDB-related investigations, and that secret talks were underway to allow Chinese navy vessels to dock at two Malaysian ports. They said Malaysian officials, meanwhile, had proposed billing some projects at above-market prices to generate excess funds for other purposes. “Within months, Najib, who has denied any wrongdoing in the 1MDB matter, signed US$34 billion of rail and pipeline deals with Chinese state companies, to be funded by Chinese banks and built by Chinese workers,” they said, referring to the East Coast Rail Link (ECRL) and Trans Sabah Gas Pipeline (TSGP) projects. 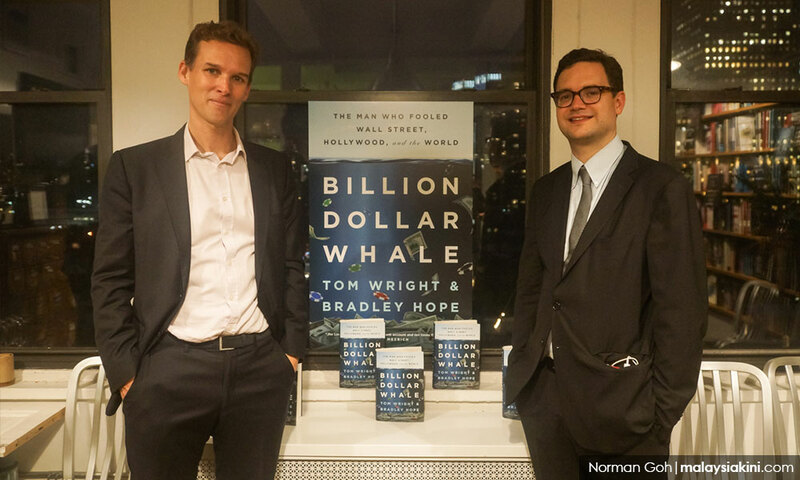 The two WSJ journalists had previously won a Pulitzer Prize for their reporting on the 1MDB scandal, and had authored the book Billion Dollar Whale detailing the fugitive businessperson Low Taek Jho’s alleged role in the scandal. For the record, Low has denied wrongdoing, while Najib has claimed trial to 1MDB-related criminal charges against him. In his Facebook post, Najib said Malaysia had been welcoming foreign navy vessels to Malaysian ports for decades, even those from the US and Russia. In addition, he pointed out that none of the countries investigating the 1MDB scandal, including the US, had dropped their investigations. Najib also denied that the gas pipeline projects and the ECRL and TSGP projects were overpriced. He said the 662km pipeline was awarded to a Chinese company in 2016 for RM4.06 billion, comparing it to the 500km Sabah-Sarawak Gas Pipeline that an Indian consortium completed for RM4.6 billion eight years prior. 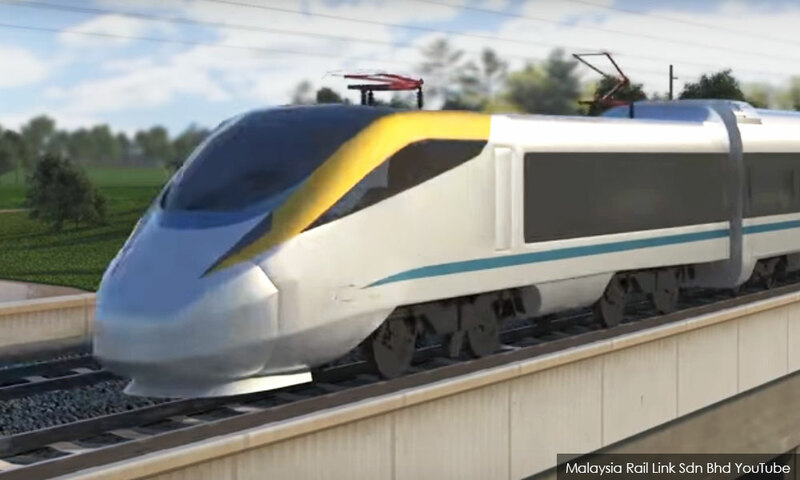 As for the ECRL and its purported RM55 billion price tag, Najib pointed to reports from 2012 and 2013 quoting estimates between RM50 billion and RM70 billion. He reiterated that Pakatan Harapan's claim that the project is only worth RM30 billion is baseless, because it was based on a 2009 study that proposed a 545km route, compared to the 620km route that was later used. “The alignment was also changed to become more efficient, and to avoid the acquisition of too much of the people’s land and houses, and it necessitates building 50km of tunnels across the Titiwangsa mountain range,” he said. In addition, he said the cost of the project also suffered from inflation and the devaluation of the ringgit in 2016. The former premier pointed out that after the signing of the TSGP and ECRL projects, palm oil and rubber exports to China had increased drastically. In 2016, he said, China was the fourth largest importer of Malaysian palm oil and rubber, and became the largest importer of rubber and second largest of palm oil just a year later. “In my opinion, Malaysian needs to be careful to avoid getting involved in geopolitical affairs between major powers simply based on media reports, and should not be so quick to point fingers at other countries as this would be detrimental to us."